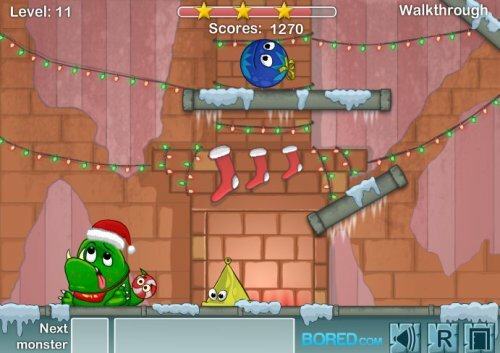 Description Solve puzzles with funny Dusty Monsters this Christmas! This little green monster is hungry and wants his candy treats! Replace objects in 30 fun physics-based puzzle levels by replacing monsters with new presents, shapes and more! Good luck! Great, easy #physics game on Christmas themes! I like!